On Thursday, Booker threatened to air confidential documents regarding Kavanaugh’s position on racial profiling and information during his time working as a White House official for former President George W. Bush’s administration, according to an article from NJ Advance Media. 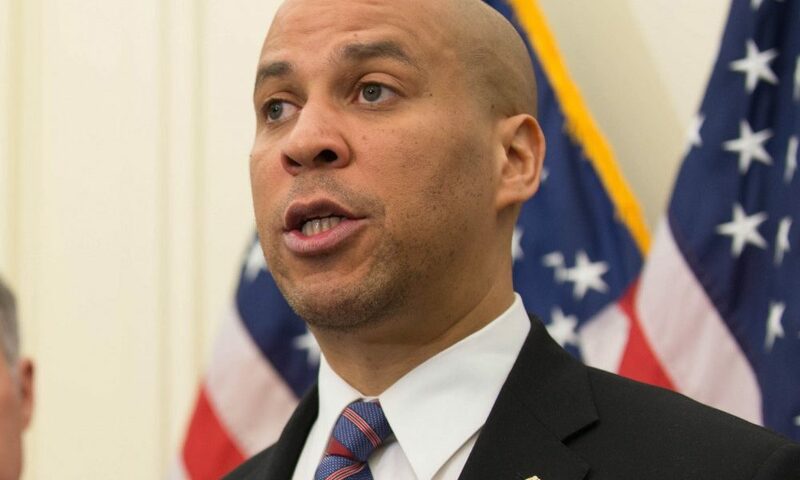 “Right now, here we stand on Monday morning, and I have now released hundreds of pages of committee confidential documents against their rules, because they’re sham rules,” Booker told reporters from NJ Advance Media at yesterday’s event. Menendez and Pallone echoed Booker’s feelings and said Kavanaugh’s appointment to the Supreme Court could impact immigration, health care, civil rights, racial profiling and abortion in America, according to the article. Prior to the event, Booker attended an ice cream social at Thomas Sweet Ice Cream on Easton Avenue in New Brunswick in support of Mayor James Cahill’s (D) campaign. 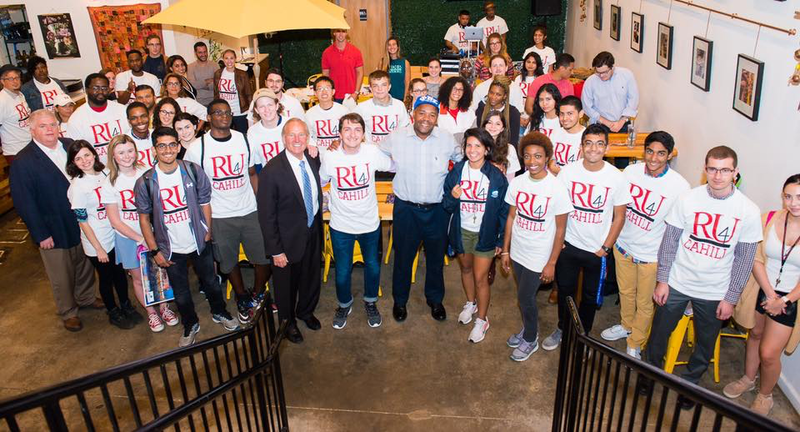 It is Cahill’s latest in a series of initiatives to connect with the Rutgers student body leading into November’s mayoral election. 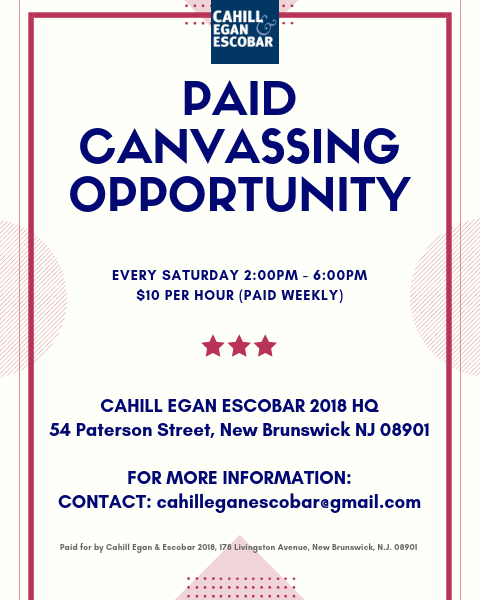 Work to help re-elect local Democrats every Saturday from 2 to 6 pm at $10/hr as a paid canvasser in New Brunswick NJ. Includes traveling door-to-door handing out campaign literature and meeting voters. Contact cahilleganescobar@gmail.com for more information. Paid for by Cahill Egan Escobar 2018, 178 Livingston Ave., New Brunswick NJ 08901.